DARTMOUTH, Mass. 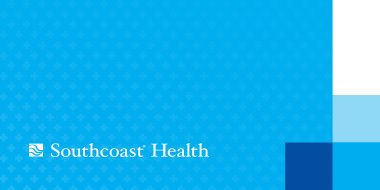 – Southcoast Health today announced that that Tina Charest, MD, family physician, has joined Southcoast Physicians Group, and will see patients at 500 Faunce Corner Road in Dartmouth. Prior to coming to Southcoast Health, Dr. Charest completed her residency in family medicine at Memorial Hospital of Rhode Island in Pawtucket, R.I. She earned her doctorate from Warren Alpert Medical School of Brown University in Providence, R.I., where she also served as a clinical research assistant in the Department of Obstetrics & Gynecology and a research assistant in the Women’s Health in Emergency Care Program. Dr. Charest has engaged in a variety of volunteer efforts, including serving since 2007 as an interviewer for students who apply to attend Brown University’s undergraduate program. She has discussed the subject of women’s health on local radio, and also served as a patient advocate for an expectant mother during medical school. Dr. Charest enjoys water sports (particularly swimming, fishing, and water skiing), cooking, and reading. To schedule an appointment, call 508-995-6389.